To the surprise of no one, Steven Stamkos has expressed his desire to sign a long-term deal with the Tampa Bay Lightning. This is pretty standard stuff in terms of public relations and it really doesn’t mean much, apart from highlighting the ongoing issues between team and player of course. Stamkos did say that he’d hoped to sign a deal in the summer, adding that his representatives at Newport Sports are still talking to the Lightning in hopes of ironing out a contract. There has been no shortage of rumours when it comes to Stamkos and the contract situation, with teams like the Toronto Maple Leafs showing up in various optimistic places. And indeed the fact that the team hasn’t come to terms with a contract as of yet seems to add grist to the mill, but there are other issues at play. For one thing, there’s that pesky no-movement clause. The closer Tampa gets to the trade deadline, the closer they get to having an impossible situation on their hands. 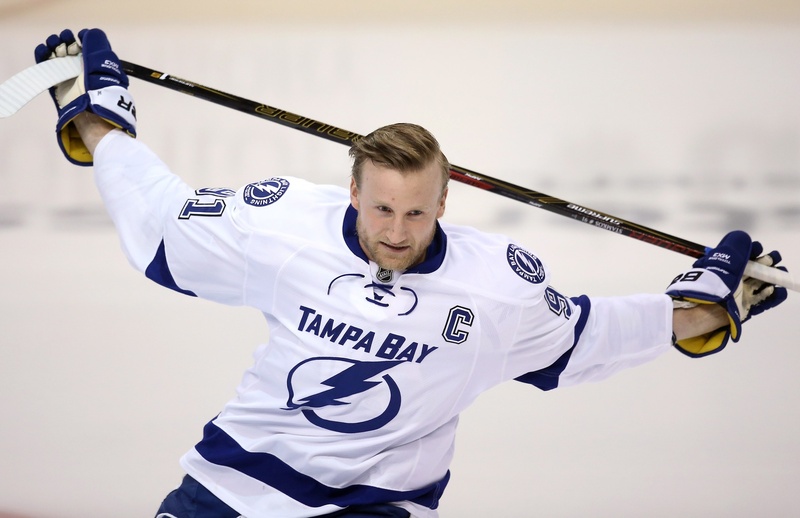 Stamkos will become an unrestricted free agent as of July 1 if no deal is reached. The Lightning would clearly prefer to trade him for some value ahead of that period, but the centre has to approve any possible deal. Many general managers push back against no-movement clauses and succeed, like Washington’s George McPhee. His deals with the likes of Alex Ovechkin and Nicklas Backstrom have no such encumbrances, which has turned out to be a good thing. Ovechkin seems a lifer as a Capital, which is exactly what Tampa would like to see out of Stamkos. Rumours have also abounded of a shaky relationship between the Lightning star and coach Jon Cooper, but Stamkos vehemently denies any alleged rift. And indeed, that certainly seems to be the case. There is little to right now but wonder. The Lightning very well could pop up tomorrow with a deal that keeps Stamkos in the Lightning fold for a very, very long time. Or they could trade him away to, say, the Boston Bruins. See? Speculating is fun. Next What Should the Oilers Do with Justin Schultz?